Temperament: Intelligent, playful, social dogs. The Havanese breed is based on the now extinct Blanquito de la Habana (little white dog of Havana), which descended in turn from the also extinct Spanish Bichon Tenerife. The Blanquito was bred with breeds of similar Bichon type and to Poodles to create the modern Havanese. It was officially accepted as a breed by AKC in 1996 and comes in a variety of colors. Havanese are a genetically diverse and healthy breed. They have some issues that are typical of small dogs, like patellar luxation, Legg-Calve-Perthes and liver shunts, but they are not highly frequent. Maintaining overal diversity will help keep these infrequent. 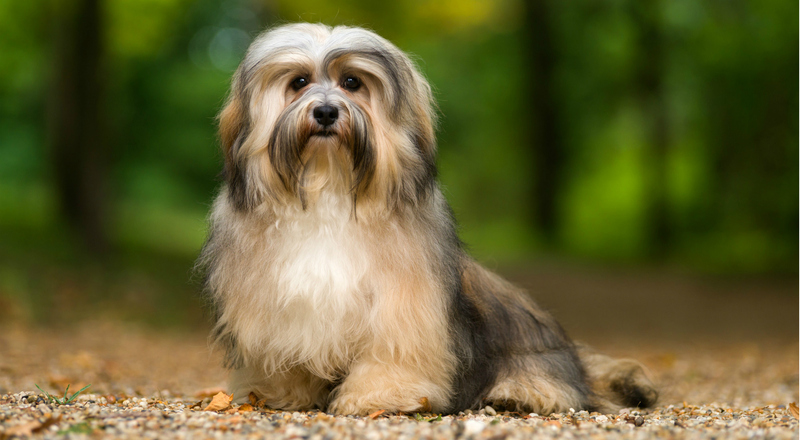 The research for the Havanese breed regarding gene flow and inbreeding indicates that breeders are currently doing a pretty good job creating heterozygous dogs and maintaining the genetics they have retained from their ancestors. Breed average IR of .03 indicates some level of inbreeding within the population. The breed has an average effective allele frequency of 4.48, with overall allele frequencies being an average of 8.576. Though this is very good for a purebred dog, this indicates opportunity to have higher effective alleles in the population. Havanese possess considerable genetic diversity in both DLA class I and II regions, similar to that of the Miniature Poodle and much greater than breeds such as the Akita, Black Russian Terrier, Italian Greyhound, Flat-coated retrievers, and Alaska Klee Kai. This diversity involves 35 different STR-associated DLA Class I and 27 DLA Class II. Several DLA types are unique to the Havanese breed. Havanese breeders have thus far done an amazing job maintaining their genetic diversity and have bred relatively heterozygous dogs (low inbreeding). However, it is easy with selective breeding to lose diversity through popular sires and selecting for specific type. To maintain current breed trend, breed for lower than breed average IR (.03). Also select for above breed average OI and below breed average AGR to retain the breedwide genetic diversity that is present within the breed.